Jotun Marine Coatings supplies decorative paints and marine, protective, and powder coatings. It has 40 production facilities, 64 companies, and is represented in more than 100 countries around the world. First Choice Marine Supply is the only official distributor in the Southeast U.S. Visit their website to browse their extensive line of coating solutions. Please call or email us for details, pricing, or to place an order. 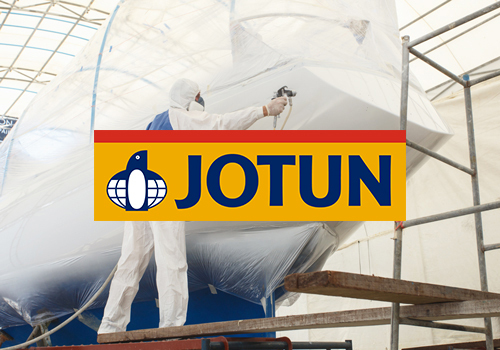 Jotun Marine Coatings is a leading provider of coating solutions to the global marine fleet. Its Hull Performance Solutions is unique – with a transparent way of measuring hull performance along with a guaranteed maximum speed deviation. Its antifouling solutions are regarded as the best in the market offering significant cost savings for the shipping industry. Jotun SeaStock solutions are considered to be the most comprehensive and efficient in the market, solving the real challenges our customers are facing when conducting onboard maintenance, often in the harshest environments. Founded in Sandefjord, a seaside town in the south-east of Norway, the marine industry has been an important part of Jotun´s history from its beginnings more than 90 years ago. With a focus on innovation and longstanding customer relationships, Jotun continued to grow both in Norway and internationally. In 2016, Jotun welcomed the publication of ISO 19030, a new standard conceived to measure changes in ship-specific hull and propeller performance, which Jotun uses as the basis for the company’s High Performance Guarantee. At the same time, Jotun is focused on strengthening relationships with existing customers to secure scheduled maintenance contracts.